Canadian Living's COUNTRY COOKING by Elizabeth Baird. cooking magazine and a TV show on Food Network Canada. There are lots of interesting recipes. So check it out! 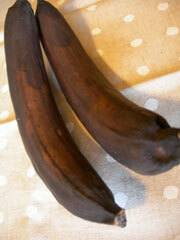 it is the perfect opportunity for a banana cake! icon placed above to vote for me! Click more... ↓to get the recipe. sugar to 200g (1cup) if you want. ★ I used 2 bananas. ■Preheat the oven at １８０℃（３５０F°). put the parchment paper inside the mold(←This is recommended). 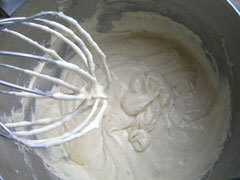 In a large bowl, mix flour, sugar, baking powder, baking soda and salt. mixer, beat at medium speed for approximately 2 minutes. for 40 minutes until the top springs back when lightly touched. 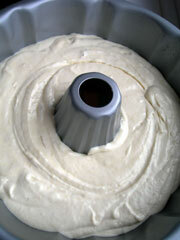 Tightly wrapped, you can freeze the cake as a whole or in pieces. 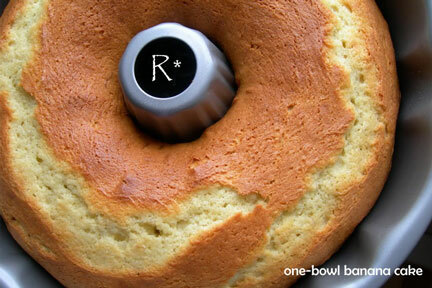 You can use cake molds of different shapes and sizes. or sprinkles of cocoa or powder sugar.